What if we added added jet engines to Santa’s Sleigh? It’s the most wonderful time of the year: Christmas. Every year, kids (and some adults) eagerly wait for Santa to deliver their presents. As you watch the Santa Trackers, you’re probably wondering if Dasher or Rudolph could fly a little quicker so that the presents get delivered sooner. 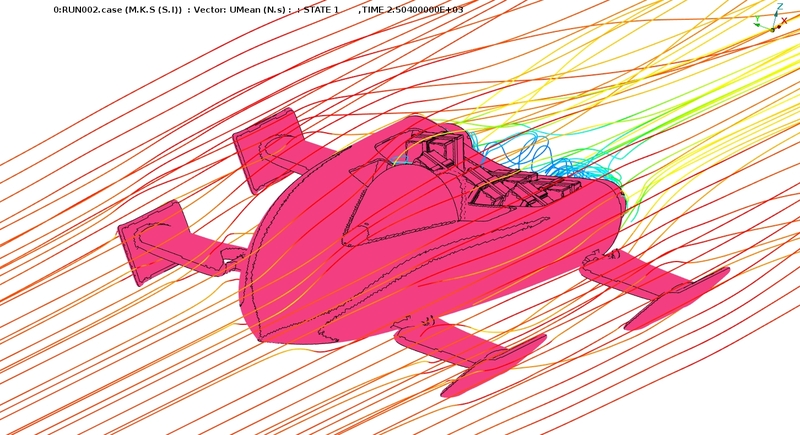 This version of Santa’s sleigh, named the Jingle Jet, is designed and drawn by Mikael Sedlacek. It’s equipped with 2 jet turbo engines; therefore, this sleigh does not require the services of Santa’s 10 reindeer. The Jingle Jet is designed with an aerodynamic body so that it can glide through the sky. Dirt track racing is a popular form of automotive racing in the United States. Dirt Late Model is a unique vehicle, with its inclined nose, flat doors, large spoiler, and open backs. 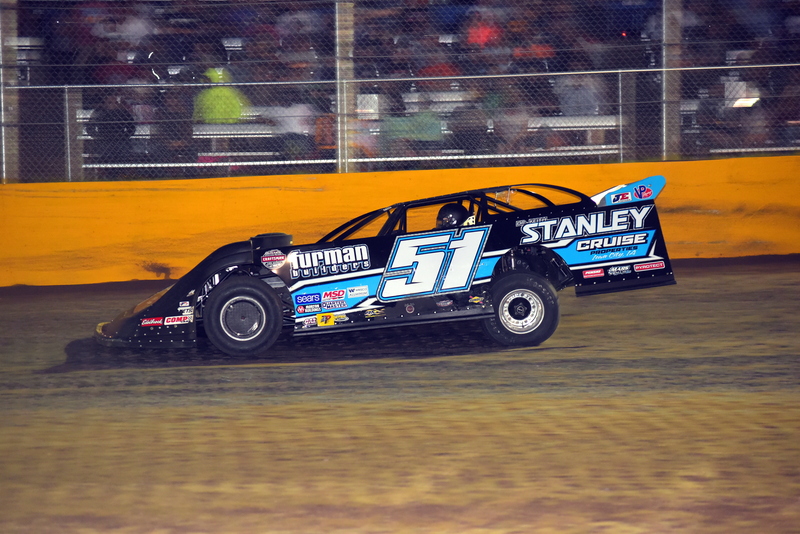 Typical weight of a Dirt Late Model is a minimum of 2,300 lbs. 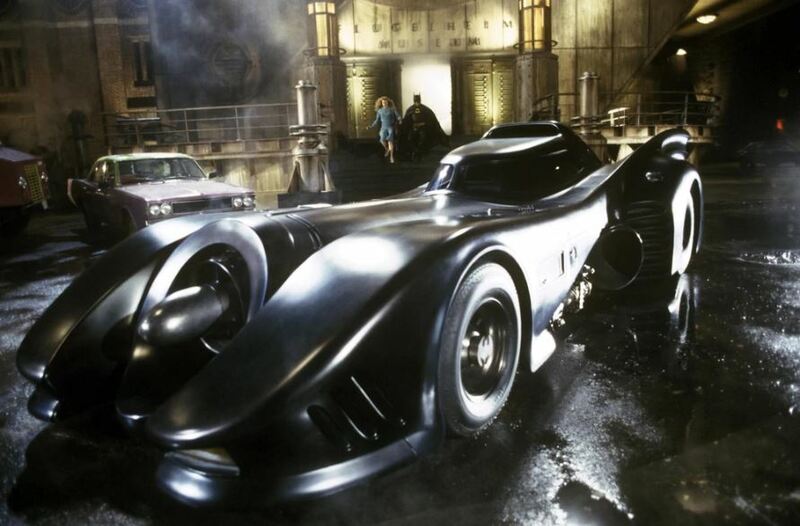 These vehicles require a powerful engine that can produce over 800 horsepower that allows the vehicle to achieve high speeds. From the tight wheel arches to the angle and location of the rear spoiler to the different fender heights, every design component of this vehicle influences aerodynamics. Wind tunnel testing for this type of vehicle is difficult due to the extreme yaw (side slip angle) the cars experience while cornering. 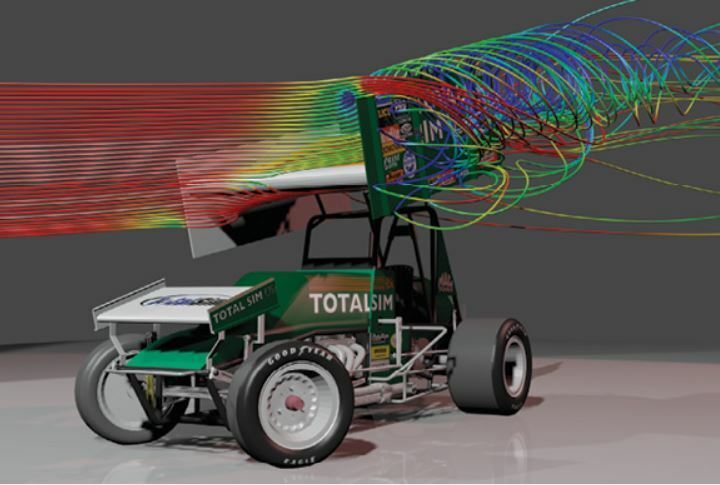 Without the constraints of the wind tunnel, Computational Fluid Dynamics (CFD) methods are ideal for testing and understanding the aerodynamics of dirt racing cars. Simulation is transitioning from a highly specialized operation performed by experts at the end of the design process to a more ubiquitous activity that can help optimize products throughout the design cycle. That means companies are doing more simulation and asking for results much faster.